Our product range includes a wide range of fixture welding table, industrial welding fixture table, modular welding table, modular welding table with side plates, welding table and 2d modular welding table. 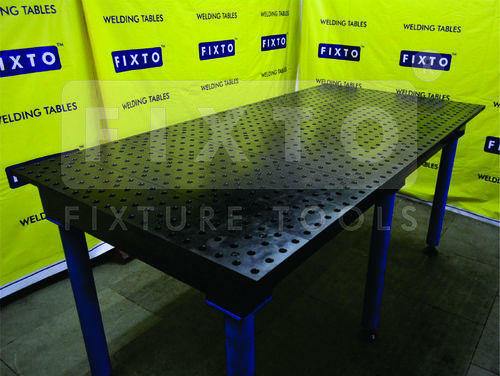 Being one of the preferred choices of our customers, we are involved in manufacturing and supplying Fixture Welding Table that is ruggedly constructed. To fulfill the diversified requirements of our patrons, we proffer the series in numerous specifications. 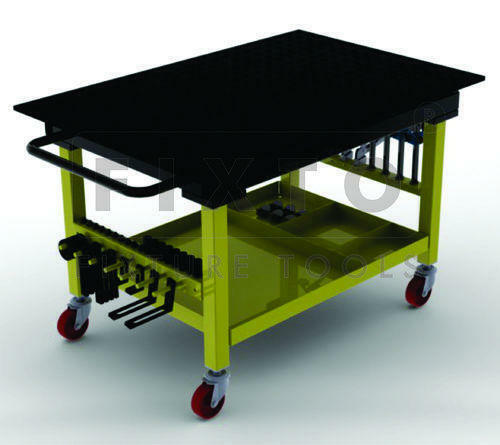 These movable tables are suitable for workshops as these are assembled with wheels. Our patrons can obtain these at economical prices. We are offering wide range of Industrial Welding Fixture Table. The offered product is manufactured in adherence to set quality standards by utilizing premium quality raw material and sophisticated technology. Our offered product is widely acknowledged for high performance, sturdiness and longer service life. 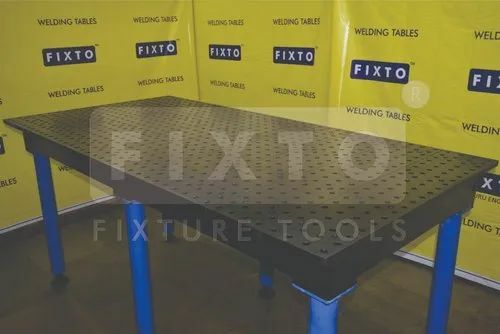 FIXTO is the most affordable modular Welding Table on the market. The amount of time and money you'll save in reduced fissuring time, and improves repeatability makes FIXTO a sensible, and wise investment. The innovative plate, slot, and hole system of the FIXTO Table provide multiple clomping surfaces, channels, and points, no whether you're building c dedicated fixture, short nor fixture, or one-time use fixtures, the FIXTO adapts to your work needs. The FIXTO Table is modular, so YOU can adapt the table, right in your shop, without ordering on expensive custom designed table. The FIXTO plates con be removed, and reconfigured to the desired size, and form. You work for your customers, we work for YOU. Our design team works continuously and tirelessly to develop new tools to help you fixture more efficiently so you can get the best value and performance from your FIXTO Table and Clamps. 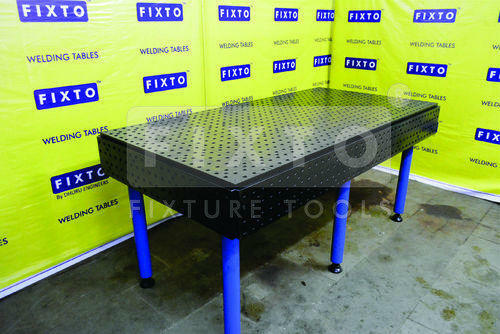 We are offering Modular Welding Table with Side Plates to our clients. 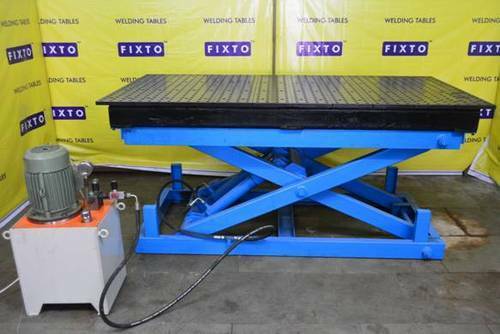 FIXTO is among the eminent names of the business to manufacture and supply Welding Table that is applauded for its sturdy construction. 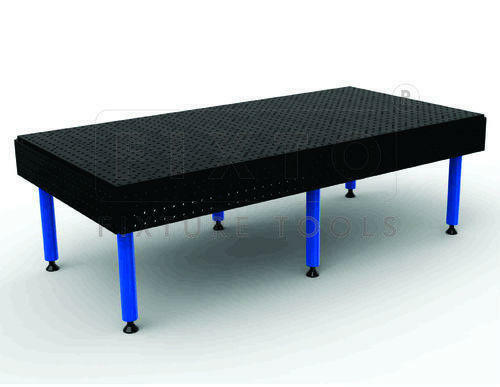 Offered in different specifications, these robustly constructed welding tables come with removable top plates. Applauded and accepted for its ruggedness and portability, the range is highly popular. 2D Modular Welding Table Also Known As Nitrided(Heat Treated) Table Top. The Nitriding (heat Treating) process is amachanical polishand post saltbath oxidative treatment.The benifits of this process incclude:- Anti Spatter Corrosion Protection, and resistace to wear, lubricity and fatigue Strength. 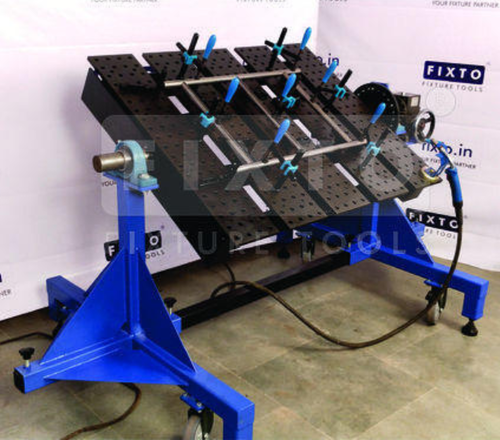 2D Slotted Welding Table Also Known As FIXTO Modular Welding Table. 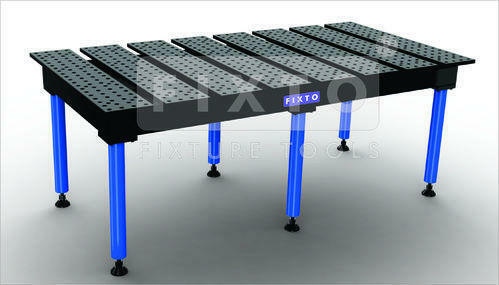 FIXTO is the most affordable modular Welding Table on the market. The amount of time and money you'll save in reduced fissuring time, and improves repeatability makes FIXTO a sensible, and wise investment. 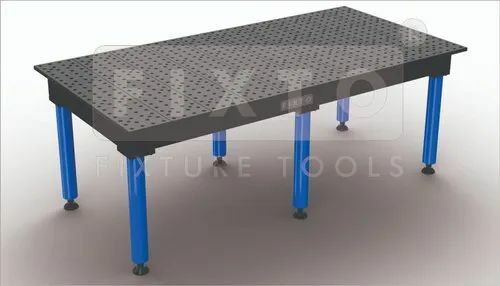 The innovative plate, slot, and hole system of the FIXTO Table provides multiple clomping surfaces, channels, and points, no whether you're building c dedicated fixture, short nor fixture, or one-time use fixtures, the FIXTO adapts to your work needs.The FIXTO Table is modular, so YOU can adapt the table, right in your shop, without ordering on expensive custom designed table. The FIXTO plates con be removed, and reconfigured to the desired size, and form. FIXTO is the most affordable modular Welding Table on the market. The amount of time and money you’ll save in reduced fixturing time, and improved repeatability makes FIXTO a sensible, and wise investment. The innovative plate, slot, and hole system of the FIXTO Table provides multiple clamping surfaces, channels, and points, so whether you’re building a dedicated fixture, short run fixture, or one-time use fixtures, the FIXTO adapts to your work needs. The FIXTO Table is modular, so YOU can adapt the table, right in your shop, without ordering an expensive custom designed table. The FIXTO plates can be removed, and reconfigured to the desired size, and form. Horizontally mount your FIXTO Welding Tabletop to the New FIXTO Rotary Positioner for plane rotation of your welding tabletop. The gear driven free-turning mechanism allows for smooth operation, superior stability and controlled turning and positioning at precise 15° increments with positive manual locking. The FIXTO Rotary Petitioner allows you to rotate your weld fixture to the best ergonomic position for worker safety and comfort, and reduced operator fatigue. Position your fixture for better weld access, accuracy, and productivity for both manual and robotic welding operations. The FIXTO Rotary Positioner is universal, with an adjustable base to accommodate most standard FIXTO Welding Tabletops. The Positioner features four swiveling, locking casters, and four leveling feet for setup at dedicated, or alternating locations in the shop. The Nitrided (Heat Treated) process a mechanical polish and post saltbath oxidative treatment. The benefits of this process indude: Anti-Spatter, Corrosion Protection, and resistance to wear, lubricity and fatigue strength.